Rev. Deborah Lee ensures that we as an organization stay true to our mission, vision and values and are responsive to our partners and network,and works with Board of Directors to ensure the long-term sustainability of the organization. Rev. 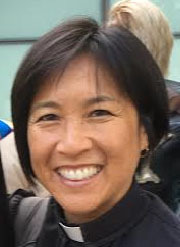 Deborah Lee became the Executive Director of the Interfaith Movement for Human Integrity in 2018. Prior to becoming Executive Director, Rev. Lee served since 2009 as the Program Director for the Interfaith Movement for Human Integrity (and under its predecessor names: Interfaith Coalition for Immigrant Rights and CLUE-CA). In that role, Rev. Lee built up the Immigrant Justice program of the organization, engaging dozens of congregations in Northern California to become Sanctuary congregations and to respond to the wave of migrant youth and families and the detention and deportation crisis. Her work has been recognized as innovative and impactful with awards from the United Nation’s Association of the East Bay, East Bay Alliance for a Sustainable Economy,and the national United Church of Christ Justice and Witness Ministry. Rev. Lee has worked at the intersection of faith and social justice for over 25 years in popular education, community organizing and advocacy connecting issues of race, gender, economic justice, anti-militarism, LGBTQ inclusion and immigrant rights. She has consistently sought to strengthen the voice and role of faith communities in today’s social movements. Rev. Lee is the daughter of immigrants and part of the Chinese diaspora that has taken her family through Southeast Asia, Mexico and now the United States. She is a proud parent, partner, soccer player and tai chi practitioner. Miriam organizes and supports faith communities in the East Bay involved in our work. Coordinates the East Bay Interfaith Immigration Coalition and Fe y Justicia programs, which both engage congregations in Sanctuary work. She also support leadership development training on faith-rooted organizing and story-telling among immigrant communities. Miriam passion for immigrant justice derives from her personal experience in an immigrant family. She has been involved in the immigrant rights movement since 2006. Her ministerial call is empowering immigrant communities to discover their innate source of healing in spirituality and to build bridges across different social groups. She is a graduate of Mills College and soon to finish her Master’s of Divinity Degree at the Jesuit School of Theology of Santa Clara University in Berkeley, CA. She has a passion for combining prayer with artistic expression that reflects a holistic approach to healing. Hilda trains and organizes congregations, and faith leaders to respond to the needs and gifts of the immigrant communities in San Bernardino and Riverside counties. She also engages and trains individuals interested in immigration, detention, citizenship, advocacy and faith rooted organizing. For the past 20 years, Hilda Cruz has been a leader, organizer and advocate with a focus on faith and social justice and the fair treatment of every person. Prior to coming to IM4HumanIntegrity, she worked as the Director of Social Justice and Outreach for St. Martin de Porres Catholic Church in Yorba Linda. There she helped to form the North Orange County Interfaith Council which engaged congregations of many faiths. For three years, she worked as the Justice for Immigrants Campaign Coordinator for the Diocese of San Bernardino where she connected church leaders with community partners and allies to advance pro-immigrant legislation through outreach, education and action. 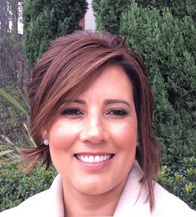 She served as steering committee member for the Inland Coalition for Immigrant Justice of Inland Southern California. Her passion to work with immigrants stems from her own personal struggles as a first generation, Mexican immigrant who knows about the fear of family separation. Continued education and growth of the self has always been important to her. Her most recent certificated courses is on Comprehensive Overview of Immigration Law from Catholic Legal Network, INC. She continues to develop herself with the guidance of mentors, intentional reflection time, workshops & webinars, books, documentaries and spiritual retreats. She enjoys walks in nature, a good movie and spending time with family and friends. Larry works exclusively with our Justice Not Jails program, bridging the gap between returning residents and communities by establishing Beyond the Bars congregations. Larry W. Foy is a public theologian, social ethicist, and community activist. His educational background, training, and life experience has contributed to his development as a Christian scholar and passionate advocate for social justice. He holds earned degrees in theology, ethics, and law. He has taught theology and ethics at Elmhurst College, Elmhurst Illinois, Westmont College, Santa Barbara, California, and Northern Baptist Theological Seminary, Chicago, Illinois. Larry has served as a community leader in Southern California for the past 25 years. 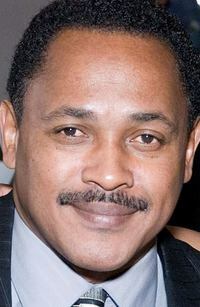 His leadership includes serving as Director of the Union Rescue Mission and the Orange County Rescue Mission; Director of Community Programs, Southern Christian Leadership Conference of Greater Los Angeles, Director of Urban Ministries, Southern California/Nevada Conference of the United Church of Christ; and as the Director of Public Policy and Advocacy for A New Way of Life Reentry Project, located in the Watts community of Los Angeles. Larry is an eternal optimist and realist. He sees the world as full of possibilities and promise and he believes that people of faith are called upon to bear an influencing presence and to play a participating role in shaping local and global affairs. Larry resides in the Crescent Heights community of Los Angeles, California. Lourdes is our lead contact for detention and deportation cases asking for our organizational support and collaboration. She develops communications and coordinates strategy with our staff team about how we as an organization can provide support through accompaniment and advocacy. Within this work, she also helps to connect immigrants facing threats from detention and deportation to our network of faith communities and sanctuary congregations. She also serves as our liaison and dispatcher with the Alameda County Immigrant Legal & Education Partnership (ACILEP) Rapid Response Network. This work is very close and personal to Lourdes. In October 2017, she led a strong deportation defense campaign of her own when her husband was unjustly detained by ICE. After a long 6 months of advocacy and tireless campaigning, led by Lourdes and her three young daughters, her husband was released. After their family was reunited, Lourdes committed herself to helping other families experiencing the same injustices of family separation. Hugo was born and raised in Mexico and moved to California when he was 13. He and his family had to endure many of the hardships that immigrants experience, from leaving behind home, family and friends, to adapting to a different way of life and learning English. Despite graduating high school with honors, he faced great difficulties afterward, having to work full-time to help provide for his mom and younger siblings, and encountering many obstacles to go to college. 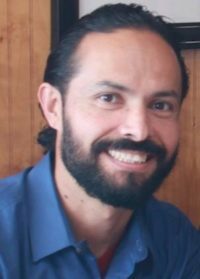 After some years Hugo got an AA degree in Mathematics and then became involved in his church’s Confirmation, Youth Ministry, and First Communion programs. He recently returned to school at Skyline College in San Mateo County and is working on getting a Bachelor’s degree. It was there that he applied for a DreamSF Fellowship in San Francisco and won placement at Interfaith Movement for Human Integrity. As a Fellow at IM4HI, Hugo is very excited to finally fulfill his desire to get involved in the cause for immigrants’ rights and against unjust imprisonment, all the while highlighting the importance of faith and prayer in this struggle. 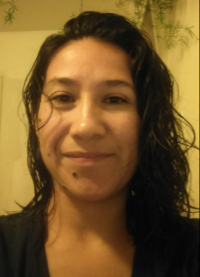 Cecilia Vasquez is a PhD student at the University of Massachusetts Amherst studying anthropology. 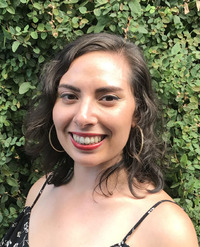 She is a National Science Foundation Graduate Student Fellow researching the practice of Sanctuary in conservative spaces. With IM4HumanIntegrity, she is interning as a community organizer to support and collaborate with the immigrant community in the Inland Empire.